Hughes Memorial Foundation awards grants to Non-Profit, tax exempt 501(c)(3) organizations. Grants are awarded for special projects and capital improvements that will benefit children. Hughes will not assume obligations for longer than 3 years. Hughes prefers to aid organizations that can supply matching funds. Organizations should not view Hughes as the sole source of funding for an activity or project. Read our complete grant guidelines. 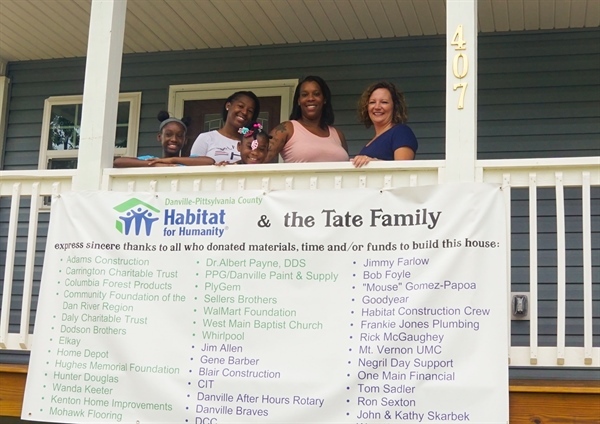 Hughes Memorial Home Foundation awarded a grant to Habitat for Humanity in November 2017 for the amount of $12,000 to help build a house for Mia and her four children. Mia is a single mom raising four children ages 17, 15,10, and 6. While struggling with rental home conditions and expensive utility cost she is very excited to be moving into a home that is cost efficient and safe to meet her family's needs.